EFT is tapping – but Tapping may not be EFT. EFT is a set of techniques for the skilful application of tapping. EFT uses clean language. EFT walks along side. EFT does not push, pull or lead. EFT gives back a person’s exact words. EFT Does not suggest, advise, manipulate or seek to influence to the agenda of the practitioner. The EFT techniques use words to tune in and tapping to clear. EFT is clean. If EFT is emotional WD40 then the tapping is the lubricant inside the can; the words are the straw that gets the lubricant to the target. Tapping may not be EFT. “Tapping” the generic, is any way that we combine spoken words with acupressure tapping. Its a great temptation to mix techniques from hypnosis and NLP with tapping. Such “Tapping” techniques can include suggestion (direct or indirect), or conscious manipulation of imagery and may be directive. This may be valid and can be effective – but it is not EFT. Faster EFT is marketed by a man called Robert Smith. Robert has called his combination of NLP, stage hypnosis and tapping, Faster EFT. Faster EFT is not EFT and should be called something else, Faster Tapping or whatever. A particular technique of Roberts is to change a memory. For example you have a memory: “Daddy hit me”. His process would change that to “Daddy hugged me” which has a better feeling. This is also done in Matrix Reimprinting. Consciously changing a memory, or being directed to do so, has never sat well with me. In my view when we do skilful EFT, we clear the energy disturbance of the memory such that it is not forgotten but does not have to be remembered in the same way. The memory becomes something of the past and no longer has an effect in the present. We clear that experience from our conditioning. To recondition ourselves by adding back a pleasant experience, that did not happen, feels to me like messing with our own reality and the reality of others. Gary Craig has explained his spiritual perspective on why changing memory is counter productive. My own process for working with childhood experience is called Self-Compassion EFT. We form a protective attachment between the adult and child stuff. The bad stuff still happens, but it doesn’t stick, doesn’t intrude into the present and doesn’t colour the future. These are my views and opinions based on my experiences and understanding. Followers of Robert Smith will no doubt disagree and, of course, are free to do so. As a Matrix Reimprinting Trainer and Practitioner I do not want to be associated with Faster EFT and that methology. Within the MR process, yes the end result maybe to get a hug instead of a smack, but there is a process leading to that point. Any changes to a memory will come from the decision made by the client with their younger self in the memory- after tapping and finding the belief. Before making any judgement about the MR process, please ensure you understand the theory behind it. This can be done on the Foundation Course. The fact that just helped 2 peopke eesolve their Autistic state to realign with their body proves it works. EFT is unlikely to achieve this, as to superficial. I say this after only using EFT for a whilt before learning MR. Regarding your maligning fasterEFT. Your observations seem to be based on one subject who has had a less than favorable experience with faster EFT. Comparatively, there are hundreds of subjects who have had good results, recorded on video for public review. When anyone takes the time to review those videos, and observes the great results, it’s hard to come away with anything but a favorable opinion of faster EFT. I have seen many of the videos, tapped along with them, and I learned to use the process on myself, and I’ve been deeply supported by the experience. Faster EFT is not EFT. It should be called Faster Tapping or something else. Totally agree with your sentiment about changing memories messing with reality. This is done a lot in Matrix Reimprinting which is too clever and I don’t feel it is safe. However Faster EFT does not really do this. What R. Smith does is when a memory is triggered you can have insight into the situation , for instance you realise that your mother is suffering and hence abusing. Because of this insight there is a natural change in your memory structure. This feels safe. Secondly R. Smith uses a technique called testing where you test to see if this is really a live part of the memory structure. In other words he is checking to see if he really is working on the right part of the memory. R. Smith is trying to have insight and re-insight the memory. The re-insight with a little prompting actually comes from the client. This is quite different from matrix re-imprinting which is a bit too clever, where you are trying very hard to jam in there new material, this seems ego driven and a bit dangerous. R. Smith also has a sort of Christian background and I believe this keeps him on the right road. In EFT the practitioner often has to guess what is the cause of the problem, but R.Smith is trying to uncover the roots with insight and let them go. Let them go. He seems very safe to me. In the end some people are safe and others are not safe. It’s a question of their character. Pls. don’t assume that ALL Christians are positive loving people, as most aren’t. I don’t know why everyone ALWAYS has to bring religion into everything. It triggers me to no end. I am spiritually conscious & for me if everyone was actually spiritually conscious the world would be a lot better off. Religion is toxic & has been for centuries. It’s meant to control the masses, plus segregate them. I’ve come across MANY so called Christians who are scammers & very nasty people. Why not just talk about the person & NOT their belief in any one religion? You sure seem to have some issues too that you should tap away or something. Yeah. Worked well with my daughter’s fear of heights. Also my fears. No problemo with FasterEFT for me. On the other hand, no one solution will work for all. Gotta be individualized. If one doesn’t work for you, then don’t do it. If another works well, then do it. 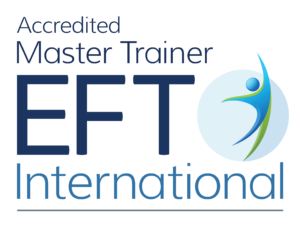 Many Faster EFT practitioners previously practiced or used EFT. I am almost certain you will not find an EFT practitioner saying they used to practice Faster EFT, because once you have actually used both, there is a clear preference. Robert Smith has always taught the differences between Faster EFT and EFT as part of his curriculum. It is actually a test question during certification exams. He has always made sure his practitioners understood the very clear differences and why Faster EFT is not EFT and vice versa. Your assumption that someone may be being fooled is clearly unfounded. Robert Smith has also openly shared many times how he too started out with EFT and how his system evolved and became much Faster without the need for scripts and guesswork. The information you provided, sharing the little bit of knowledge you have about Faster EFT and what Robert Smith teaches seems to have been taken from the public videos on Robert’s YouTube channel. I am assuming this since the information you provided is partially true mixed in with embellishments along with your opinions about what you think he does, and how what you think he does, doesn’t sit well with your sensibilities. I do hope your dear readers research for themselves so that they can get clear accurate information in order to get the help they need and deserve.